REPOL, S.L. has reached an agreement with UBE Corporation Europe, the European subsidiary of UBE Industries, Ltd., by which they acquired a majority share participation in our society. 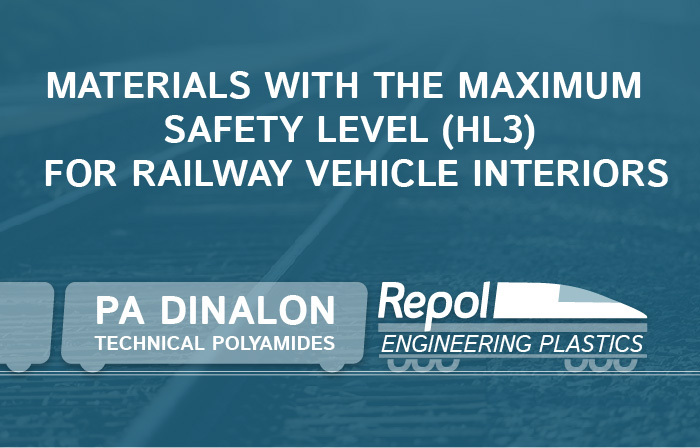 The new POMC3X09 LV-0080 grade developed by Repol meets the strict formaldehyde emission levels established by the automotive sector manufacturers, setting the limit at below 2mg/kg according to VDA 275. 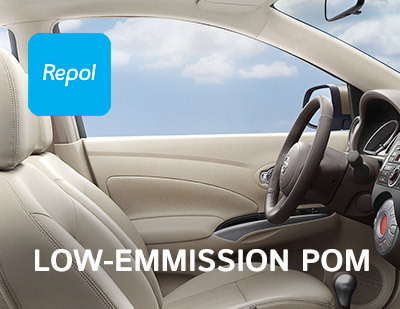 This new POM Dinaform grade completes the wide range of POM solutions provided by Repol for vehicle interiors, where the emission index is a key factor when it comes to optimizing both the driver’s and the passengers’ comfort levels. Lightweight plastics are increasingly used in automotive, aerospace and construction sectors, because the use of low density materials allows to reduce the structural weight of products, reducing energy consumption and carbon footprint. REPOL has recently been working in several projects to develop lightweight materials PP-based. 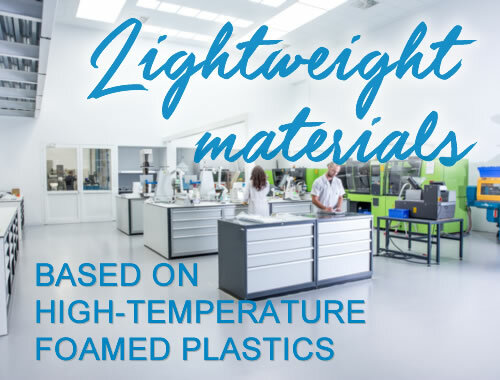 Now, as a new goal, the company will extend this lightweight materials to a high performance/high processing temperature polymers, PA and blends of PCABS. ADVANCED THERMAL CONDUCTIVE POLYMERS FOR LED LIGHTING AND APPLICATIONS WHERE THERMAL DISSIPATION IS REQUIRED. Demand for conductive plastics in thermal management applications continues to rise. 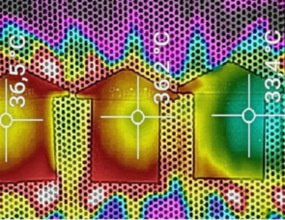 An overheating of devices generated by smaller and more powerful electronic components open the need of more efficient thermal control. REPOL is involved in the CDTI project IDI 20151219 to develop materials with an improved heat dissipation and low thermal expansion for LED lighting applications and areas where these features are needed. Latest trends in the development of engineering plastics. REPOL SL. and GAIKER-IK4 have jointly developed, in collaboration with Engel-Helmut Roegele, a seminar on “Trends and Latest Developments for Engineering Plastics”, where the latest developments and innovations in the sector are presented. Last May 30, the GAIKER Technological Industrial Park hosted the seminar “Trends and Latest Developments for Engineering Plastics”, organised by Repol, S.L. and the GAIKER IK-4 technological centre itself. The aim was to present the latest breakthroughs and developments in replacing traditional materials for engineering plastics, while highlighting the advantages of the system. 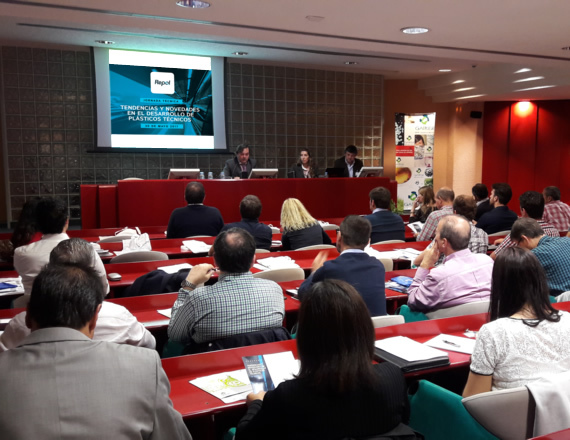 The presentations approached all the different properties, opportunities and improvements that the engineering plastic sector may currently offer the rest of the business sectors. Engel shared the improvements that MuCell technology brings to injection processes; REPOL focused on some of the most relevant and innovative market opportunities, such as heat and electricity conductive polymers, or the different weight reduction techniques for thermoplastic components, as well as the growing need for the development of concrete regulations for each sector. As for GAIKER, they approached all the advantages that technological centres may offer other companies as far as knowledge and access to new technologies and materials are concerned, with the objective of further fostering innovation and growth. We at Repol would like to sincerely thank everybody who attended the seminars. REPOL is developing a new polymer as coating material that will be sprayed on an experimental test battery. 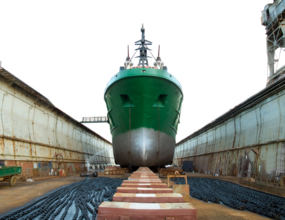 Such coating contains a specific and new antifouling molecule that will remain in the structure surface avoiding biomarine organisms stuck, giving a long life-time antifouling protection in an economically and environmentally sustainable way. 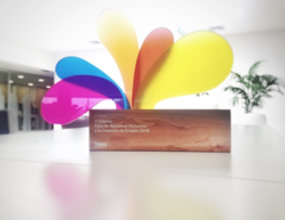 Repol is proud to announce that its commitment to creating more and better jobs has been recognized by the Human Resources Club of Castellón with the award for creation of employment. 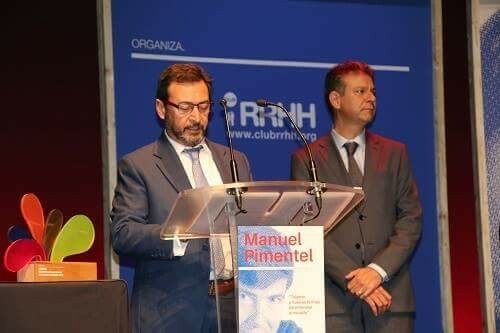 The event, which took place in the auditorium of the Jaume I University of Castellón, was attended by the Former Minister of Labour and Social Affairs, Manuel Pimentel, as guest and speaker, as well as other award winners, such as Halcón Cerámicas, whom we congratulated. This distinction is a recognition of Repol’s corporate culture, whose team is its most important asset. The young and multicultural staff is continually complemented by students on job training from several countries. In short, a great option for career development, mainly in the investigation and sales technician areas. -	Incorporate, retain and develop people with talent and attitude. -	Motivation to work to the highest quality. -	Generate the best working environment and promote teamwork. -	Maximize the work-life balance of our staff. Repol has a firm intention: to be the best place to grow professionally. Do you want to be a part of our project? In January 2010, Haití went through one of the worst moments in its history after suffering an earthquake which totally devastated the country. Now, in 2016, Hurricane Mathew has striked the area once more, causing hundreds of victims and, again, great devastation. 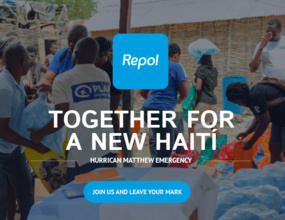 We at Grupo Repol perfectly know that it is difficult times for everybody, but we also know that nothing compares to the situation in Haití, where basic infrastructures are currently being reconstructed, and where basic needs such as water, sanitation or the protection of the rights of children and affected families is still under way. That is why we have decided to start an initiative through which we will donate 1% of our total November turnover to cooperate in reconstructing the country and supporting its people through the organization Plan International. We know first hand how valuable and transparent their work is, and that is why we blindly trust them. REPOL AND GAIKER - IK4. 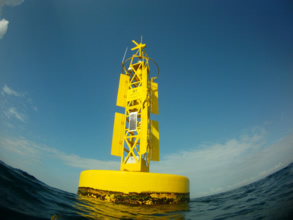 THE PERFECT UNION IN R&D AGAINST SEA CORROSION. We have reasons to celebrate! Grupo Repol has been awarded the 2015 Export Prize by the Chamber of Commerce of Castellón. This award acknowledges a long history of hard work. Along the years, we have expanded our international market, always demonstrating a clear, unequivocal commitment to human quality in our working team, developing innovative competitive strategies and boosting value added by continuously investing in R&D. 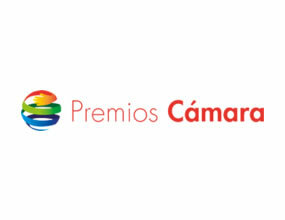 The awards will be presented next Monday, 11 April in the Chamber of Commerce of Castellón. 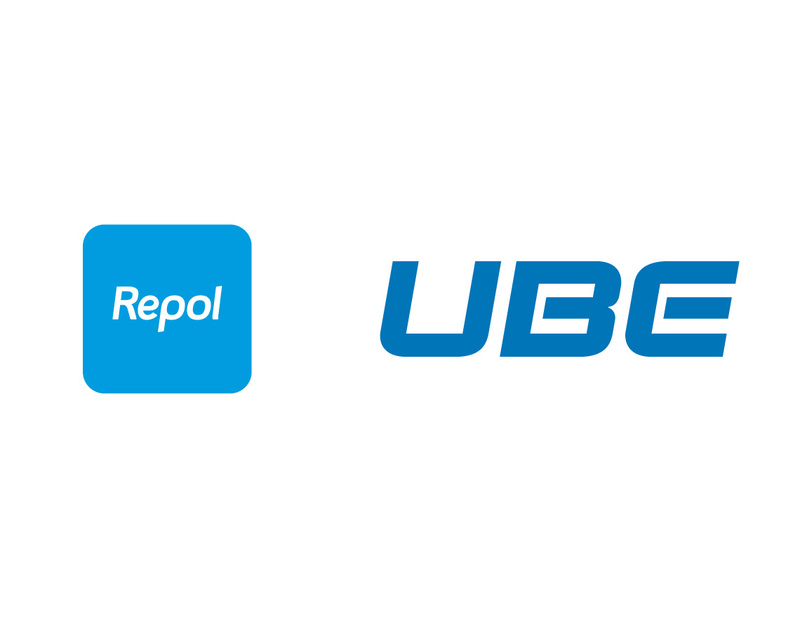 Grupo Repol joins the fast-growing electric car sector by developing a plastic material for the manufacturing of battery racks, within the European project OPerating RAack for Full Electric Vehicle Project (OPERA4FEV). 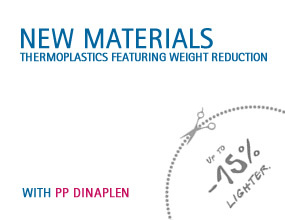 Grupo repol makes a breakthrough with its new materials for tube and profile extrusion. Since it was established in 1975, Grupo Repol has been leading the way in innovation when it comes to the production of materials for the profile and thermoplastic tube extrusion, and is now a benchmark in the sector. 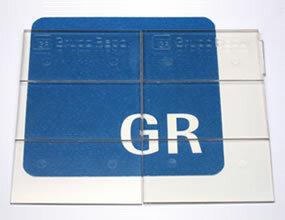 Extensive experience in the formulation of engineering plastics and leading edge technology in production and characterization have allowed Grupo Repol to develop several materials featuring complex and highly innovative characteristics for a wide range of international customers, which has led to a considerable increase in sales over the last year. Some of REPOL'S new developments feature the substitution of structural metal pieces for plastic and the performance optimization of new materials, which are now lighter and more innovative. REPOL thermoplastics and technical products: the best ally to face both present and future demanding challenges. Next June we will be attending the most important French technical plastic exhibition: The FIP Solution Plastique in Lyon, from the 17th -20th June. 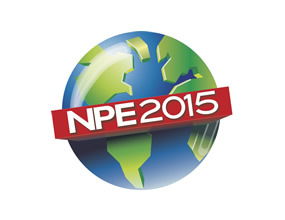 You can visit us in the Hall 6.1 stand I2, where we will be showing our most recent innovative compounds. Our technical department will be at your complete disposal to assist you and provide you further information. Grupo Repol triplied the production of PC/ABS blends in 2013 after serious investment in new formulations for homologations in several technical applications over the past years. In Grupo Repol we invite you to visit our stand 8A E12-4 in the fair K2013, the most important trade fair for Plastic and Rubber industry that will be celebrated from 16 to 23 October in Düsseldorf, Germany. 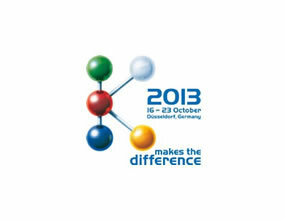 Grupo Repol will take part at the 22nd Friedrichshafen (Germany) Fakuma Fair, from 16 to 20 october. 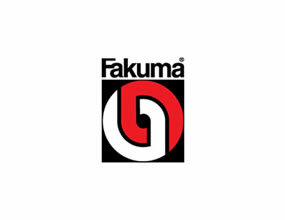 Fakuma, the largest trade fair for plastics in the German speaking countries in 2012.